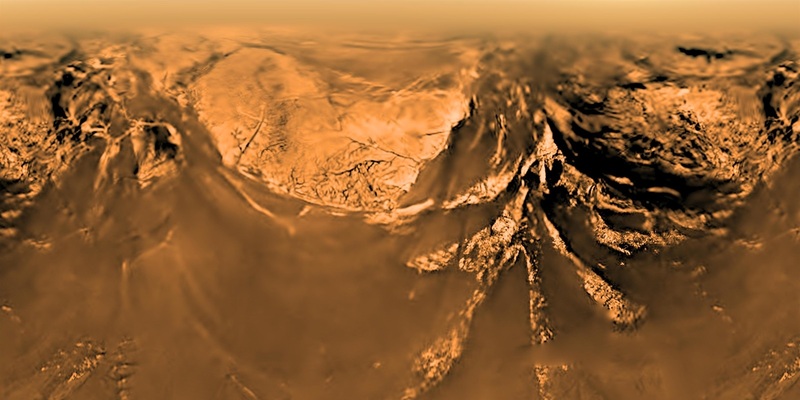 Twelve years ago, on January 14, 2005, the European Space Agency’s (ESA) Huygens probe touched down on the surface of Saturn’s largest moon, Titan. From this distant world, it collected images and data about a world viewed by many scientists as an analog of early Earth. The probe’s historic touchdown marked humanity’s first successful soft landing of an uncrewed craft on a body in the outer Solar System. Named for 17th-century astronomer Christiaan Huygens, who discovered the large moon in 1655, the probe was launched with NASA’s Cassini Saturn orbiter in October 1997 atop a Titan IV(401)B rocket from Cape Canaveral Air Force Station’s Space Launch Complex 40 in Florida (the present East Coast launch site of SpaceX’s Falcon 9 rockets). On December 25, 2004, nearly six months after Cassini began orbiting Saturn, Huygens separated from its mother craft. Twenty days later, it made its descent to Titan’s surface. Within just hours of landing, the probe studied and analyzed Titan’s hazy atmosphere. It captured hundreds of photos during the descent, including images of steep ravines and rugged highlands crisscrossed by dark drainage channels. The probe also measured Titan’s winds and studied its complex organic chemistry. 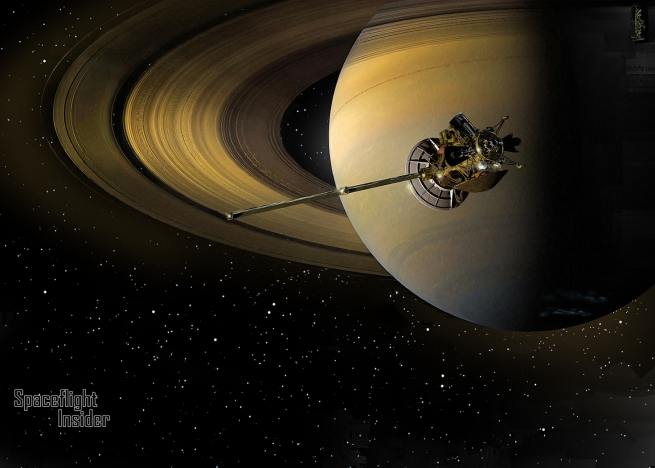 All the data Huygens collected was returned to Earth via Cassini, which served as a relay station high above. Huygens landed on a dark surface that appears to be a dry lakebed, where it remains to this day. Still in orbit around Saturn, Cassini has since made several close flybys of Titan. Now plunging through Saturn’s ring plane, Cassini will end its mission on September 15 with a destructive dive into Saturn’s atmosphere. It will mark the conclusion of a mission that began in the 1980s. Cassini scientist Alex Hayes of Cornell University in Ithaca, New York, noted that Huygens’ findings show a landscape that mimics that of early Earth. Cassini imaging team lead Carolyn Porco of the Space Science Institute in Boulder, Colorado, stated that the lander revealed evidence that liquid hydrocarbons either currently flow or once flowed on Titan’s surface, in the form of streams and drainage channels. 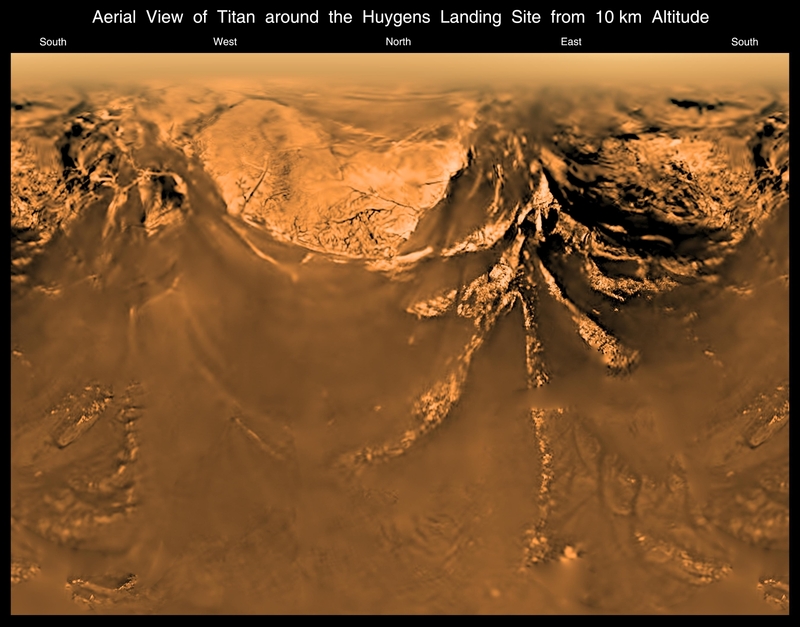 “Huygens’ images became a Rosetta stone for helping us interpret our subsequent findings on Titan,” she said. By studying Titan, scientists feel they can learn more about the moon’s potential habitability and also gain new insight into the chemistry that might have been present on an early Earth, emphasized Jim Green, NASA director of planetary science. “It completely changed our understanding of this haze-covered ocean world,” said Linda Spilker, Cassini project scientist at NASA’s Jet Propulsion Laboratory (JPL) in California. Magnificent work ! The theorists were correct. Methane is abundant out there. We should conserve it here for the easily obtained hydrogen, useful in making synthetic fertilizer. Burning it to make electricity seems very foolish to me. Once it is gone, people will question the wisdom of that decision. Yet we are deluged with television programs featuring witches, wizards, and lovable vampires while this true “reality television” which is incredibly more fantastic goes largely unnoticed. Where the hell did I leave my bottle of scotch.